Last year, I set a bunch of lofty goals and…I failed to achieve any of them. It didn’t feel great but, after the initial sting, it helped me see an opportunity for growth. 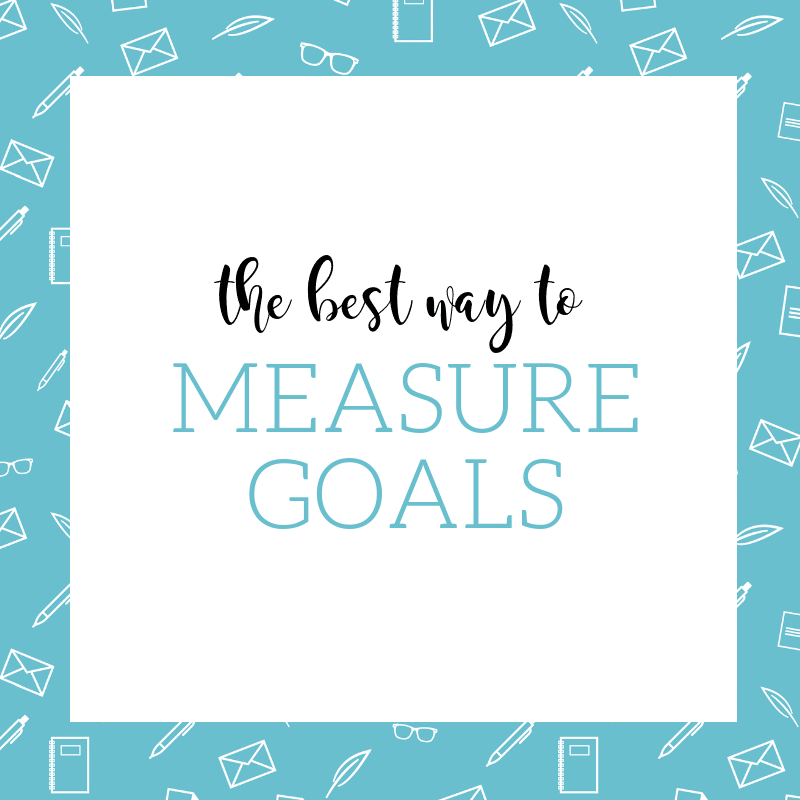 I realized it’s time to shift how I craft and measure goals. In short, I need to stop creating ego-driven goals. Here’s what I mean. When I sat down last month to assess how things went in 2018, I immediately felt disappointed. I hadn’t hit any of the numbers I’d written down when the year began. Not one. But when I got honest with myself, I wasn’t surprised. Those numbers were HUGE and completely arbitrary. I pulled them from thin air because they looked good. If I made six figures, I’d feel successful. If I had an email list of 10,000, I’d feel important. If I reached 5,000 Instagram followers, I’d feel cool. It didn’t matter that I was building a new business and starting from $0. Or that it had already taken me a year to get just 1,400 people on my email list. Or that 5k Insta followers would be a nearly 500% jump in one year. Clearly, my goals weren’t based on reality—they were just numbers designed to stroke my ego. And, at the end of the year, I didn’t feel successful, important, or cool. I felt like a big ol’ failure. Thankfully, I’ve done enough mindset work at this point that I don’t stay in the self-pity place for long. Instead, I did some more digging to see what I could learn from my numbers. Turns out, it wasn’t all gloom and doom. In fact, there was a ton of good news hidden in my “subpar” results. Good news: I increased revenues 83% without additional childcare hours (meaning, I did it while working an average of 25 hours a week). All 100% of the increase came from an entirely new business (coaching), which grossed more than $30k in its first year. And my original business, corporate writing, earned more than $45k (same as the year prior) despite my divided attention. Good news: In fact, I ended 2018 with a list of just under 1,000 (50% less than at the start of 2018). That sounds like a giant flop, until you learn that I cut my email list from 1,500 to 300 in May in response to GDPR (a new European email privacy law). So, I actually tripled my email list in just 7 months. Better yet, my open and response rates also went up. Good news: My Instagram following only grew by about 200 followers (of course, I didn’t really engage on the platform so, duh!). But, my overall social media reach grew by 41%. That’s about 2,200 more followers (across all platforms combined) than I had in 2017. I’ll take it. This year, everything is different. No more vanity metrics! I’m using the OKR method, which my amazing friend Angela at All The Ops teaches (or you can learn about it in John Doerr’s Measure What Matters) to outline goals that are incredibly specific. I’m also using the last year of real data to choose numbers based on historical trends (as in, no more expecting to grow page views by 500% if my average annual increase is 10%). I also invested in a detailed audit of my analytics (you should, too, and Annie’s Crafty Marketing is the company to hire!). This helped me see what’s really working and what isn’t so I can invest my time, money, and energy into high-impact activities. Finally, I’m doing monthly check-ins (with the amazing members of my membership community) to regularly assess what’s working and to tweak and refine my goals and to-do list based on actual results. Instead of feeding the ego monster this year, 2019 will be all about combining data with intuition to guide my choices and measure goals. How did you set and measure goals this year? Comment below!